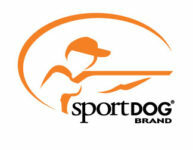 On Nov. 22, the Sportsmen’s Alliance Foundation filed comments with the U.S. Fish and Wildlife Service (FWS) in opposition to the release of private information from hunters related to the importation or exportation of trophies. Humane Society International (HSI), the international arm of the Humane Society of the United States filed a Freedom of Information Act request with FWS for the information about individual hunters going back more than a decade. Fortunately, FWS decided to take public comment before releasing the information to HSI. The Sportsmen’s Alliance Foundation, along with many others in the hunting community, objects to the release of the information on several grounds. The Freedom of Information Act clearly exempts information from disclosure if it will result in an unwarranted invasion of personal privacy. Given the recent explosion of social media targeting of hunters by animal-rights extremists, there can be no doubt that the release of personal information about Americans who import trophies will result in harassment if not in actual danger.